It is true that for many top achievers in this prestigious competition, the NEA has proven to be a springboard for many future achievements. 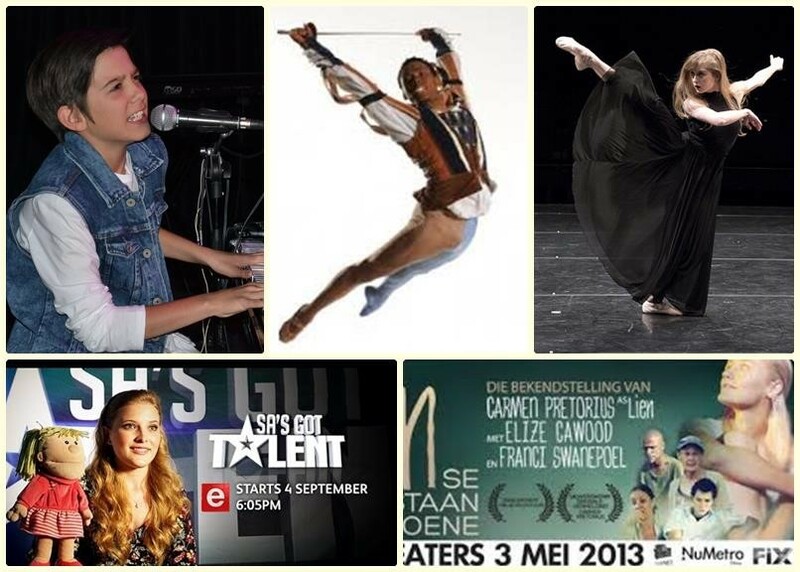 To name but a few: Henno William, Isabella Jane (Snyman) and Julian Hepburn went on to become finalists in E-TV’s SA’s got talent competition. Henno (silver medalists in the NEA Awards 2015) has been signed by New York-based music executive, Kevin Liles who is launching the young singer-songwriter in the United States and internationally. Andile Ndlovu and Camille Bracher were top achievers at the 2007 International Ballet Competition. Ndlovu, also a finalist in KykNet’s “Dance, Dance, Dance”, is currently with the Washington Ballet, one of the USA’s most prestigious dance companies; Camille Bracher is currently dancing for the Londen Ballet Company; Maudee Montierre is a well-know soprano and currently a lecturer at the University of Cape Town; Carmen Pretorius, has performed in Mamma Mia, Cinderella, Jersey Boys and the South African movie Lien se Lankstaanskoene, amongst others. Seventeen year old Isabella began singing in 2005 and entered the National Eisteddfod singing ‘The Bare Necessities’. She went on to perform at the Gala evening and won the overall medal for her age. With the guidance of her contemporary singing coach Desi van der Walt, she entered both the NEA and SACOPA each year since and has achieved the highest levels in both. At the beginning of 2010, she started singing Classical and Operatic music under the careful eye and coaching of June Kraus. Isabella has shown a great ability for this genre and especially coloratura. She was awarded ‘Top Junior Crossover Vocalist’ at the National Eisteddfod in May 2011. The NEA does not promise Hollywood, fame or success. The Young Performer Awards Competition does not pretend to be the pot of gold at the end of the rainbow either! What the NEA does offer is a credible, non-profit platform that provides talented performers with an additional, higher level opportunity to nurture and develop their skills and talents in a more challenging environment. The value derived from this experience will enhance their self-esteem beyond superficial greatness, to a deeper knowledge of themselves, their potential and their challenges, in order to become successful citizens. This holds true for many of the 18000+ participants in this competition over the past 15 years.